Alyssa Cunningham, Mercedes Geiger, Isabel Gleason, Jaclyn Kuro, Sammi Pletcher, Lianna Sauve, and Kaela Witmer. Gaige Barber, Josh Beiler, Andrew Lines, Matt O’Neil, Matthew Paich, Aron Possler, and Joey Shiffer. Barber participated in Interact, Heroes, Chick-fil-A Leadership Academy, National Honor Society, class treasurer, lacrosse team captain, and youth lacrosse coach. This fall he plans to attend Wilkes University and major in mechanical engineering and play lacrosse for Coach Jaques. 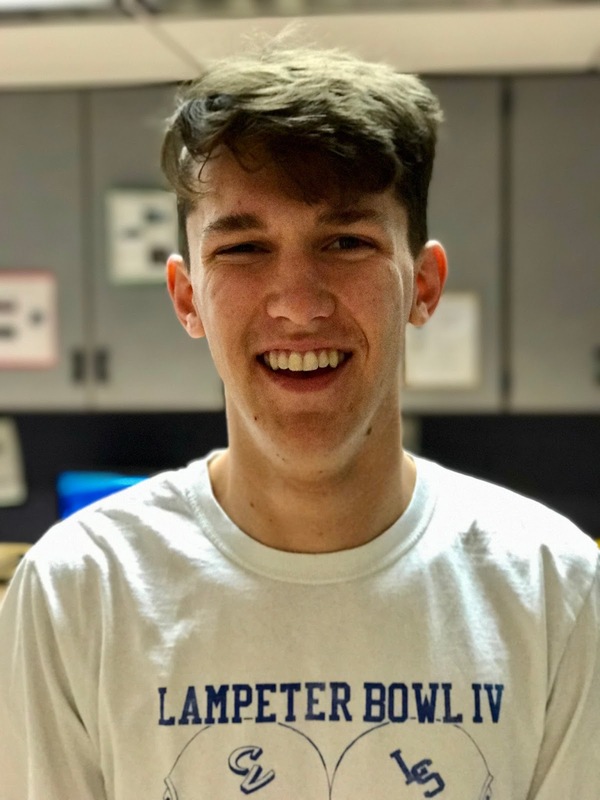 Beiler participated in tennis, wrestling, ultimate Frisbee, spikeball, National Honor Society, Varsity Club, and Fellowship of Christian Students. When not busy with a school activity, Beiler works at a farm. This fall he will be attending Messiah College to pursue a degree in the medical field. Lines participated in marching band, chorus, Madrigals, fall plays, spring musicals, boys' tennis, Tri-M Music Honor Society, and the Thespian Society. This fall he plans to pursue training and employment in the field of broadcasting, music performance, and business. O'Neil participated in Varsity Club, Heroes, National Honor Society, soccer, tennis, Interact, spikeball, and Volleyball with friends. He plans to attend Messiah College for Pre-Med. 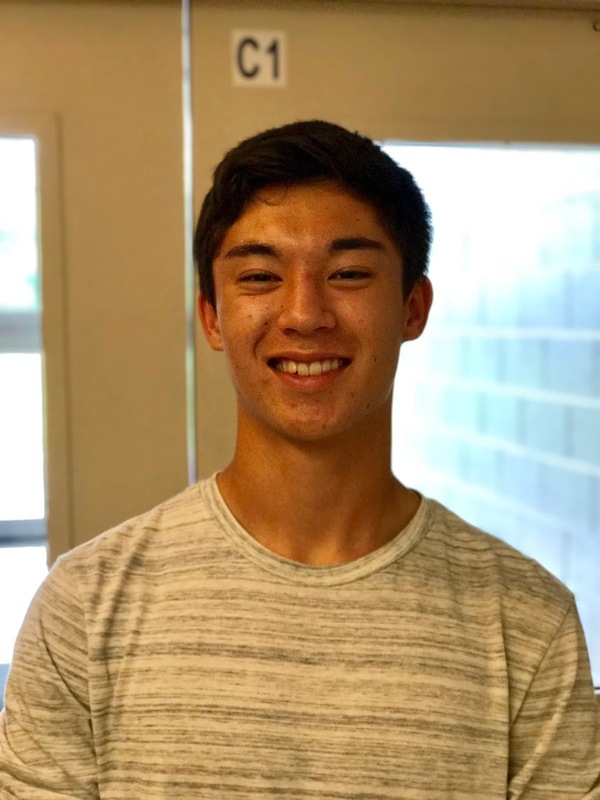 Paich was National Honor Society secretary, Boys' tennis for four years, class secretary sophomore and junior year and participated in Asian Culture Club. Paich also enjoys engineering and wood tech. This fall he will be attending Penn State University for electrical engineering. Possler participated in chorus (vice president), Madrigals, LLMEA County Chorus, PMEA District Chorus, concert and marching band, full orchestra, spring musical, Tri-M Music Honor Society (president), Thespian Society, National Honor Society, and Heroes. This fall Possler will be attending the University of Delaware to major in biochemistry. Shiffer has been involved in the L-S theater as well as chorus. He loves music, writing, filming videos, and his church. Shiffer is also very involved in his youth group. In his free time you might find him writing his own songs. But nothing beats working in the produce department at Darrenkamps. This fall Shiffer will be attending Lancaster Bible College. Cunningham participated in Interact, National Honor Society, Cross Country, Student Council, Fellowship of Christian Students, Aevidum, and youth group at Willow Street Mennonite Church. This fall Cunningham will attend Messiah College to study Applied Health Sciences. Geiger is a member of concert choir, concert band where she plays the clarinet and the Tri-M Music Honor Society. She was the president of the marching band this year. Additionally, she is a member of the National Honor Society, Art Club, and GSA. Geiger enjoys drawing, singing, and watching movies. Currently she is learning to play the guitar. This fall Geiger plans to attend Elizabeth College to pursue a career in art. Gleason participated on the soccer and lacrosse teams, National Honor Society, Varsity Club, and Interact Club. She was the president of the ski and snowboard club and the outdoor club. This fall Gleason will be attending Penn State. Kuro was the president of the Fellowship of Christian Students and involved in the spring musical: High School Musical, varsity track, Thespian Society, Tri-M Music Honor Society, and Heroes. She enjoys spending time with family and friends and living in the moment. This fall Kuro will be a full-time nanny taking night classes at Harrisburg Area Community College. Pletcher participated in National Honor Society, Varsity Club, Heroes, field hockey, and youth group. This fall she plans to attend Messiah College and then law school. Sauve was president of the Varsity Club, treasurer of Interact, and participated in Student Council, Fellowship of Christian Students, National Honor Society, Heroes, and the spring musicals. She enjoys playing piano and watching The Office. 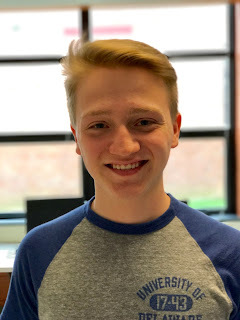 This fall Sauve plans to attend Muhlenberg College for secondary social studies education. Witmer participated in the spring musical: High School Musical, chorus, Madrigals, Interact, Tri-M, National Honor Society, Thespian Society, Heroes, and Fellowship of Christian Students. This fall Witmer will attend Pennsylvania College for nursing.